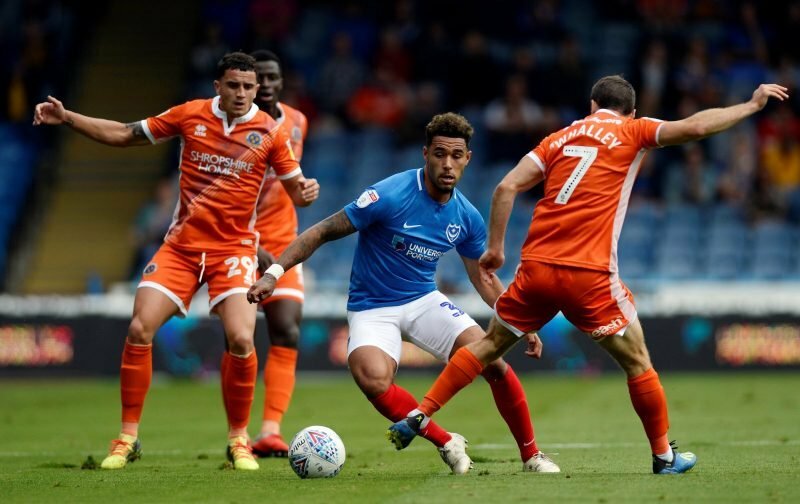 So, Andre Green became the latest loanee to depart Pompey when he returned to Aston Villa last week. Green, like a few other loanees who have returned to their parent clubs – Ben Thompson is an obvious exception to this as he’s clearly been missed since returning to Millwall – didn’t really have the impact anyone would’ve hoped for, really. Clearly Green didn’t play as much as he or Aston Villa would’ve wanted, however, an injury early on and the form others had an impact on the one the forward was able to have on the south coast. A big thank you too Andre for your time at Pompey. I was looking forward to seeing you more at the Park but maybe another time. Good luck. In fairness, had it not been for Green Pompey wouldn’t have won the last two FA Cup ties; we might not even be in the FA Cup? Let alone the fourth round stage. We’ll always have Rochdale and Norwich. FA Cup King. Best of luck Andre! With all due respect, Green had his moments in other games – and his loss could of course leave us a short – but we didn’t see as much of him as anticipated and therefore probably not enough for too many to be anywhere near as disappointed at losing him as we were Thompson. Thanks a lot @AndreGreen – would’ve like to have seen more of you – maybe we soon can..? You have plenty of talent, and I think ‘will make it’. Come back & help us to promotion. Meantime, thanks for your goals & impact from the bench! #baller #PUP ????????⚪️???? Best of luck to Green, who is likely to go on and have a good career, but he, as with the vast majority of loanees on temporary spells, was set for just that and so it has proven. Kenny Jackett was likely to attempt to dip into the transfer market anyway – Green’s return to Villa Park makes it a near certainty now.